Though sales have slowed in the face of the upcoming Xbox One and PlayStation 4 consoles, retailer GameStop continues to grow. GameStop, the ubiquitous videogame store found in nearly every mall in America, has reported $1.38 billion in worldwide sales for the second quarter of 2013. This marks a 10.7 percent drop from the same period in 2012, but that's to be expected. The PlayStation 4 and Xbox One consoles are mere months away, and as usual this has caused consumers to become more hesitant about purchasing new games and hardware. Crucially for GameStop's investors, the company saw this downturn coming, and while a drop in sales is always something to be avoided, the company still managed to beat its estimated earnings for the quarter. As of now the company is valued at nine cents per share, which tops previous estimates by two cents. 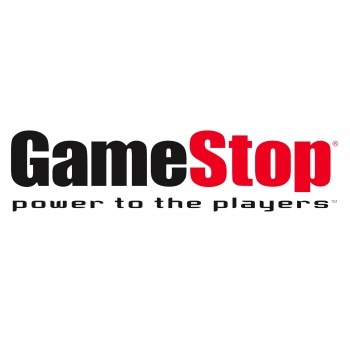 "Through two quarters, the year has played out as expected," states GameStop CEO Paul Raines. "During this console transition period, our financial results have been supported by the continued growth of our emerging businesses. This strength helped drive a 130 basis point improvement in gross margin rate for the second quarter." "What 'emerging businesses? '," you ask. As Raines later states, GameStop has positioned itself in such a way as to immediately capitalize on current and upcoming trends in the gaming industry. Obviously the company expects to rake in tons of cash when the new console generation arrives, but in a move that demonstrates GameStop's forward-thinking, it has also bolstered its profits not by resisting the inevitable growth of digital game sales, but by finding ways to work with this nascent system. Many expected the swelling support for Valve's Steam service to sound a death knell for GameStop, but instead of pushing back, GameStop has embraced the new revenue stream by offering Steam gift cards in its stores. It's a clever move, as this directly ties the growth of Steam to an increasingly important segment of GameStop's profits. As far as the future is concerned, GameStop appears quite confident that the upcoming third quarter of 2013 will prove highly lucrative. Thanks to big-name game releases like Madden 25 and Grand Theft Auto V, the firm believes its shares will jump to somewhere between 50 and 55 cents each. Only time will tell if things play out as GameStop hopes, but the firm's shrewd performance of late should give investors confidence.